Every so often leaders will encounter a situation in which their team is not meeting the goals of the organization or simply not performing at the highest levels. This can come about because of apathy, laziness, incongruent expectations, and burnout. 1. Revisit Goals, Mission, and Vision – Sometimes everyone needs a reminder to know where we’re heading. Many times we can get caught up in the day-to-day of “tasky” behaviors and even issues unrelated to the job and forgot what our organization truly stands for and what we aim to accomplish. Print out a copy of the goals, mission, and vision of the organization and share it with everyone. Have a conversation related to what these areas mean to you, what it means to your team members, and how you can accomplish them together. 2. Reestablish Expectations with Team Members – As is the case with #1 (i.e., Revisit Goals, Mission, and Vision), meeting with each team member to reestablish and reinforce your expectations with them is crucial. This will put you on equal ground and common understanding related to what is expected and can even spark new excitement. However, if someone’s expectations are vastly incongruent with the overall mission and vision of the organization, this would be the time to tactfully coach them out of their position. My good friend Dawn Lennon wrote a guest blog post called “Putting an End to Slackers,” which I highly recommend that you read. 3. Create a Formal Reward Structure – Everyone likes to be recognized for their hard work and contributions to the organization. Having an objective reward system can help set the expectation that reaching certain goals comes with certain “prizes or privileges.” This can also create a sense of collegial competition among your group. Keep in mind that a formal reward structure should not take place of simple “pats on the back” and other simple and cost-free means of recognizing your team members. 4. Build in Team Development Activities – Create purposeful activities for your group. This can be anything from team-building exercises and training activities to volunteering in the community and even simply taking them out for a meal. Do not have your team members participate in ice-breakers just for the sake of doing ice-breakers. Have a purpose behind every activity that you present (i.e., increased communication, conflict resolution, effective teamwork, etc.) rather than doing something haphazardly. 5. Eliminate or Fix Processes that are Unneeded – Work for work’s sake can kill confidence in your members and add to poor team morale. If a task or process does not add value to the organization, why are you doing it? If it does not advance your mission or vision, get rid of it. 6. Remove Complainers, Naysayers, and Troublemakers – I once read a statement that rings very true when it comes to team cohesion: “Strike the shepherd and the flock will scatter.” This can simply be presented as a conversation similar to #2 (i.e., Reestablish expectations) or a more direct approach by removing individuals from the group. And yes, you can fire volunteers! Bad attitudes spread like wildfire so deal with this swiftly. 7. Incite Excitement – People take a part in what they help to create. Writer Jeff Jarvis once wrote, “Tap into people’s passions and they’ll about work for free!” This stands true for your team. Find out their skills and strengths and get them involved in activities and projects within the organization that will complement their passions. Keep it fun. 8. Check Yourself – No one is perfect, including you. Take a step back and evaluate what you are doing and what you may be able to do better to help your team. Being in charge is not easy. Assess your own strengths and areas you can improve upon in order to “fix” your team. 9. Take a Break – Sometimes everyone, including you, needs a brief “time out” in order to refresh. Purposely create time off or a short lull in the action to regroup rather than constantly “hitting problems over the head.” Time off between semesters or quarters can add a much needed respite for reflection. 10. Seek Advice – Talk with your supervisor, a mentor, or trusted colleagues and get advice. Read books and blogs about leadership and management. Additionally, realize that the problem did not happen overnight so trying to solve it will not occur overnight either. 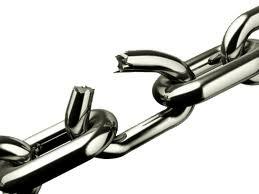 What are some strategies that you have utilized to fix a broken team that may have been under your leadership? All of those who share a comment will enter into a raffle to win a “Leadership Discussion Cards” activity kit from Student Life Consultants. The raffle will occur on 12/14/11 at 12pm and the winner will be announced via Twitter @studentlifeguru and through this post’s comments. This entry was posted on Wednesday, December 7th, 2011 at 1:15 am and is filed under Leadership. You can follow any responses to this entry through the RSS 2.0 feed. You can leave a response, or trackback from your own site. Numbers two and six are essential!!! I have been a part of many different staffs in many different environments. I can say that these tips ring true. Revisiting goals doesn’t always have to happen mid-year or at the end of the year. I once revisited goals 4 weeks into a semester. At the end of the day your staff may not be life long friends, but they do need to respect each other and have a good working relationship. Thanks for your note. Hang in there as I understand how that feels!